I have been AWOL from here for quite a while but, to be fair, I have had good excuses for doing so – having a baby being the main one! 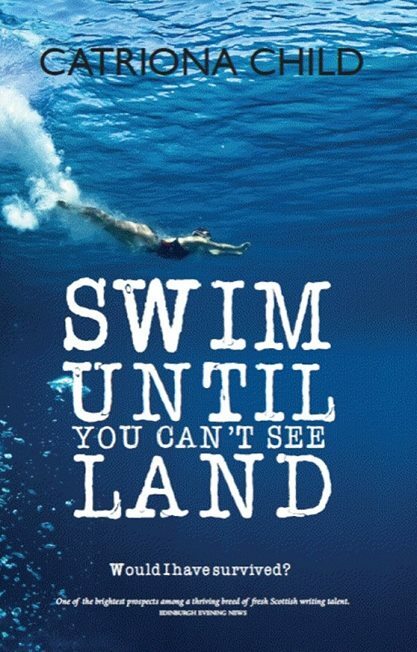 I’m now back with my new novel – Swim Until You Can’t See Land. We had the launch in Blackwell’s last Tuesday which was great fun, and the book was officially launched this week. It’s available as a very pretty hardback and an e-book. Swim Until You Can’t See Land charts the relationship between two women born sixty years apart, whose chance encounter marks a watershed for the younger woman. In her early twenties, Hannah Wright is forced to give up a promising career as a professional swimmer, and is adjusting with difficulty to her narrowed horizons. She is in danger of becoming embittered, haunted by a lost future. Mariele may now be frail and old, but as her exploits during WW2 unfold, she is revealed as a woman of extraordinary spirit, unbroken by capture and interrogation as an agent in occupied France. Hannah’s delight in the medium of water and the rhythms of swimming are set in dramatic counterpoint to Mariele’s of torture by water, an ordeal that puts her in touch with her core strength – something Hannah starts to discover in herself. My super-fast sister Eilidh and I appeared on the Janice Forsyth show this week. You can listen to it here, but you only have 26 days left to do so! I’m also in the Evening News this weekend talking about the book and how I came to write it.